TICK TOCK! 2015 is sashaying into 2016 and we are about to enjoy the last hurrah. What better way to bid a fond adieu to this year and face the new than rounding up our NYEssentials that we will be wielding in order to greet the occasion in style. So put your best foot forward, we can’t wait to share our secrets with our FDJ LDN fillies! As a company that is renowned for its strong emphasis on trust, we feel utterly comfortable putting our face in Avene’s hands, especially as they are a brand that listens closely to its consumers. 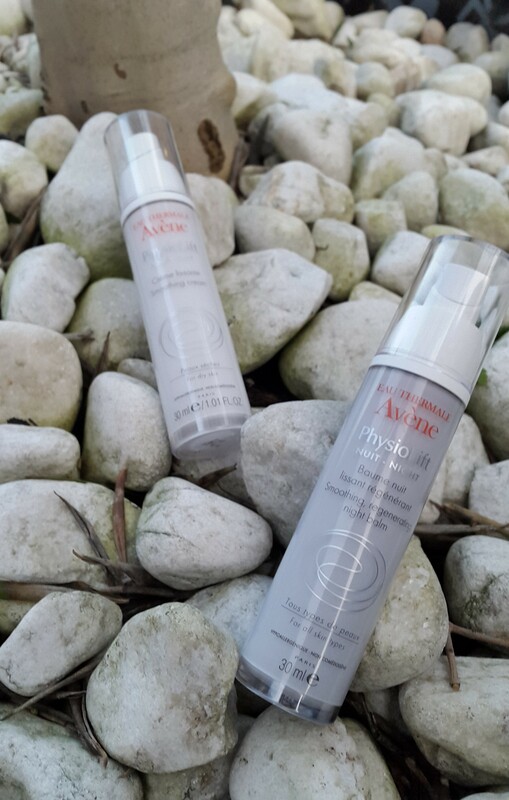 After taking part in the We Are Thirty Plus and Avene #30PlusAvene Twitter chat on age and representation of beauty, we were super excited to try the new PhysioLift range. As two ladies in our 30s that feel our faces are a joyful reflection of our lives and embracing the ageing process, we were looking to these products to give our visage a freshness in time for the New Year. We weren’t disappointed! The PhysioLift DAY Smoothing Cream really does just that – SMOOTH! Applied in the morning on a freshly cleansed face, we found that this delightful cream cocooned our skin in veil of yummy textured, soft moisture, glided on and sunk in quickly, providing a great primer for foundation. The smooth, dewy feel lasted all day until cleansing time came around again, despite the havoc of cold winds and rain. Night time heralded the arrival of the PhysioLift NIGHT Smoothing, Regenerating Balm which soothed and smoothed the day away and we were greeted the next morning by skin that was not only baby soft, but appeared plumper, healthier and with those expression lines not so…expressionate! Having used this combo for about two weeks now, we can honestly say that this is our go-to product heading into the New Year, as our skin feels well and truly rejuvenated. We are sure our extra luminous skin will not go unnoticed on the big night itself thanks to the products triple threat of collagen replenisher Ascofilline, Hyaluronic acid and anti-oxidant Pre-Tocopheryl (try saying those after your NYE bubbly three times!). Cheers, Avene! As you may be aware from our Skincare Week series, we are BIG fans of Exuviance, in particular their Sheer Daily Protector. 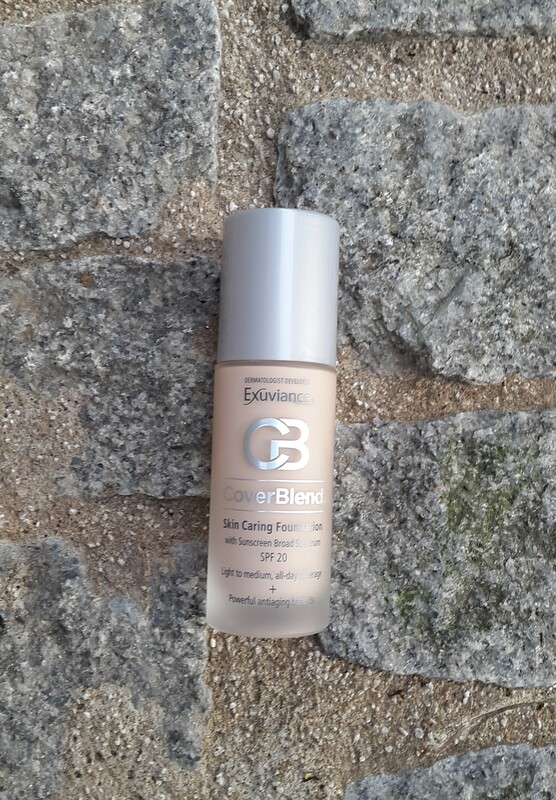 So when we heard about their fab improved CoverBlend Skin Caring Foundation, we jumped at the chance to try it! We love the idea of a foundation not only providing great coverage, but also some fantastic skincare benefits. Come on – who doesn’t want an awesome multi-tasker on their team? And we can vouch that few come more awesome than this! Paired with our Avene skincare, this small but mighty beauty was unstoppable, surpassing our usual foundation brand. Fresh and clean smelling with a fluid, silky liquid, this base provides a light to medium coverage that can be built to create a flawless and luminous finish. It blends with your skin tone a treat and leaves a soft, smooth and powder-puffed finish to your face that covers imperfections effortlessly without looking (or feeling) like you are actually wearing any makeup. Ideal for all skin types including us sensitive souls, this mighty magic-maker is chock-a-block with age-defying sorcery such as anti-oxidants, Polyhydroxy acid and a brilliant SPF 20. Truly this is one foundation that serves on more than face value! Cheers, Exuviance! As much as we LOVE the look of false eyelashes or lash extensions, in reality the thought of either the potential damage or them becoming unstuck come the stroke of NYE, fills us with dread. So we went looking for an easy to use option that would give us falsie-worthy results but without the risk of harm or “spider on cheek” lols. 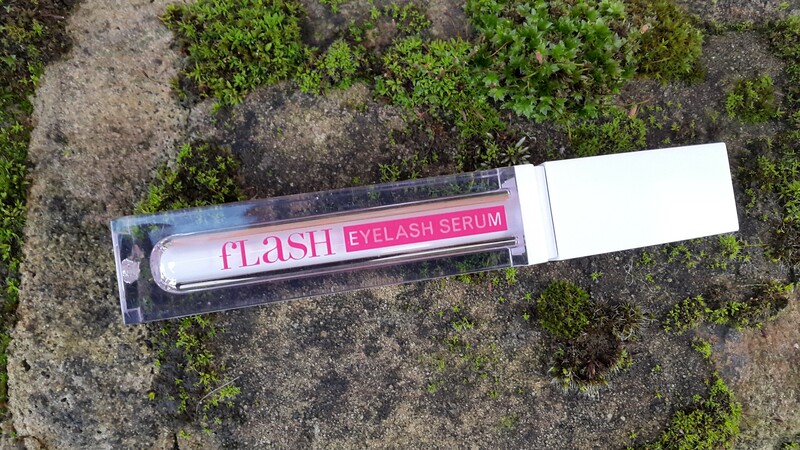 Enter fLasH Eyelash Serum! This magic wand claims to give the wielder longer, sexier, curled eyelashes in weeks, whilst being kind, nourishing and safe to use even on the most sensitive eyes. We have been using the product for about 3 weeks (optimum results are said to appear between 4-6 weeks) and we have certainly noticed a difference already – perfectly timed for the big countdown! The tube contains 3 months supply so will see us well into 2016! The product is dummy-proof to use. Just apply like you would a liquid eyeliner along your top lid along the lashline once a day. We opted to do this after taking our makeup off at night, so that it could work whilst we slept. It’s as simple as that! First signs of it working became noticeable after a week and a half, when we noticed we could put on a fraction of the usual amount of our fave mascara but get the result of our usual couple of coats – fLasH-tastic! We are super excited to flutter our fuller bad boi’s this NYE. Cheers, fLash Lash! Now, we might have done some…erm…research on this next product during the Christmas party season in prep for the BIG party of the year happening on the 31st. You know, in the name of science and all that fillies! And we couldn’t really argue with the results we got from this hangover prevention remedy. Ohayo Tomorrow is a little bottle of love after a big night out. Leigh used it after a particularly raucous work party (oh heyyy red wine and champagne – you mix well!) and was surprised by how bright-eyed and bushy of tail she felt the morning after the BIG night before! Its special potion of vitamins, electrolytes and Milk Thistle will battle your beast of a hangover whilst you slumber. Worried you might forget to guzzle the goodness before you go to sleep? Fear not fellow party animal! 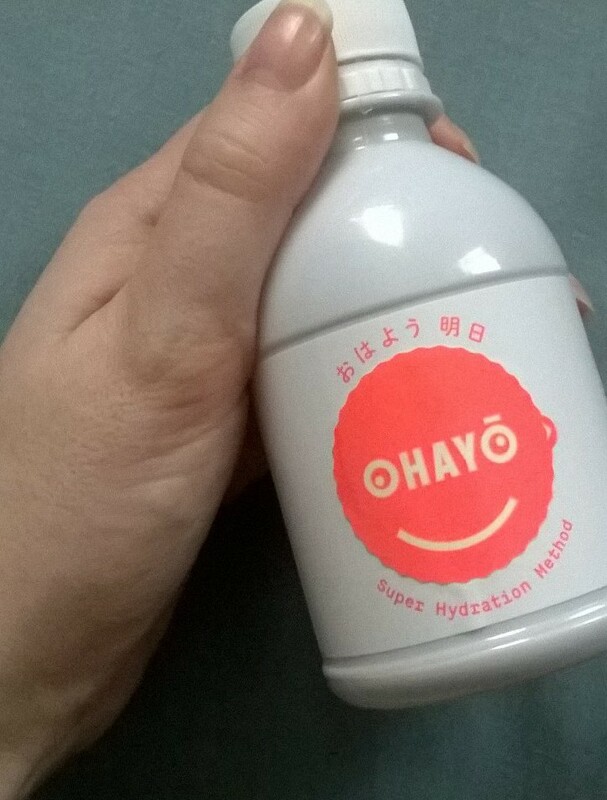 The orange Ohayo label peels off so you can pop that somewhere to remind you (Leigh put hers on the inside of her handbag) and what’s more the part of the bottle where the sticker was glows in the dark the message “Tomorrow says Thank You”. Pop the bottle next to your bed to remind you and you will indeed be saying Thank You! Cheers, Ohayo! We all know what the main event is for NYE though right? 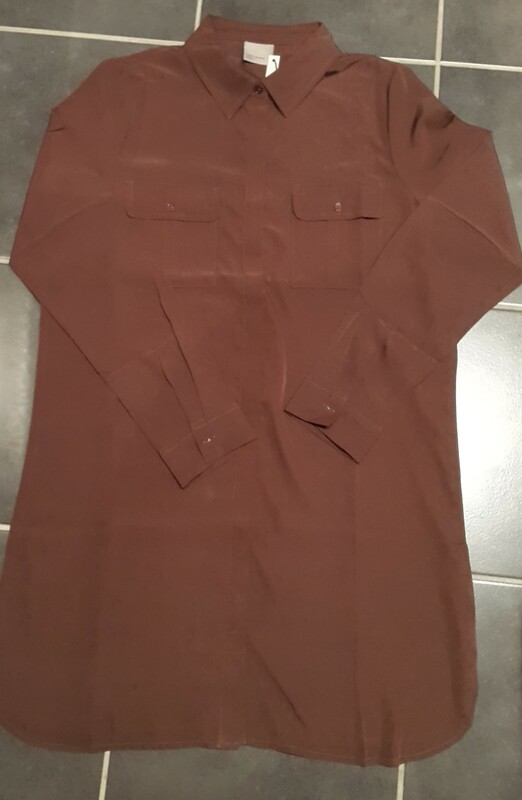 It’s the outfit, or namely THAT dress! You want something memorable and a showstopper. BUT as it’s potentially a one night affair…you don’t want to break the bank and be paying for it into 2016. Yes, nobody wants what we can call a “Fashion Hangover”, an item that is not worth its cost per wear. Thank goodness for Love the Sales! We stumbled across this site and favourited it straight away. Why? Because it rounds up the hottest sale picks from the online market place across all the must-have brands in one easy to use site, with infinite filters to help you find the perfect dress for your special occasion. 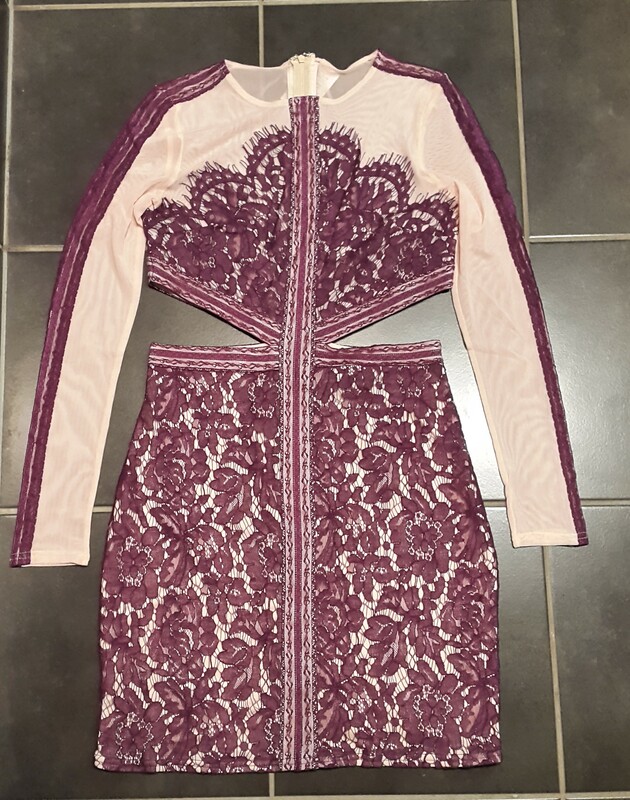 Looking for all the fab Bodycon dresses on sale? Easy! Want to see what’s on offer at ASOS or Missguided? Simple! You are only a couple of clicks away! Leigh picked up both this ASOS Vero Moda Shirt Dress and this Missguided Lace Cut-Out Bodycon Dress at a fraction of the cost, but without scrimping on style, leaving plenty of cash leftover for bubbles! She’s unsure as to which to wear at the moment, but with prices this good she decided to opt for both! Keep your eyes peeled for our savvy sale style post coming shortly. Cheers, LoveTheSales.Com! However you are celebrating tomorrow night, we raise a glass to you lot! We want to say a HUGE Thank you to you all for all the support we have had this year. Thank you for following our blog, our Facebook, Instagram and Twitter – we love sharing with you! Here’s to more in 2016. Cheers FDJ LDN fillies! Great post ! I recently restarted my blog and would love it if you would check it out! Awww thanks Mina – we hope you enjoyed our blog. Wonderful! I will stop by yours now.